If you’re celebrating the Fourth of July at Walt Disney World this year, you’ll want to check out all the celebrations happening at Epcot. The Voices of Liberty will be performing special shows at the America Gardens Theater :30 p.m., 6:45 p.m. and 8 p.m. on July 4. 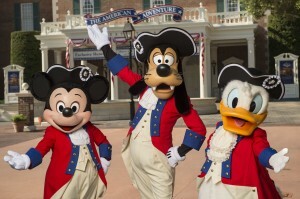 Mickey, Donald, and Goofy will join the Voices of Liberty and will be dressed in their special “Spirit of ‘76” attire. The group will also be performing at the American Adventure pavilion at 2 and 3 p.m. 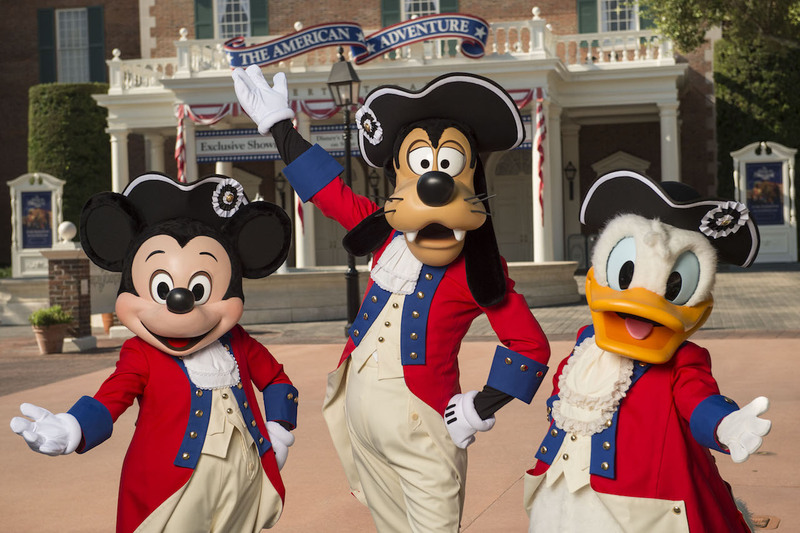 Characters including Mickey, Goofy, Pluto, and Chip ‘n’ Dale will be available for photos all day – and all will be dressed in their Patriotic best. All-American eats will be available throughout Epcot including: red, white and blue cupcakes at Fountain View and Sunshine Seasons; specially decorated croissant doughnuts at Refreshment Port; and all-American burger, southern fried chicken sandwich, apple pie cheesecake, and a slice of watermelon (just for the Fourth!) at Liberty Inn. Wrap up your night at Epcot with IllumiNations: Reflections of Earth featuring a patriotic All-American grand finale.